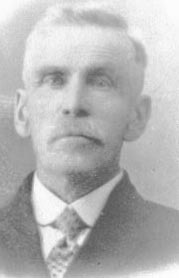 Walter Parsons was born at Ireland. He married Mary Ball. Mary Ball was born at Ireland. She married Walter Parsons. Josèph Théodore Binette was born on 18 April 1876 at St. Elzéar, Beauce, QC, Canada. He married Marie-Edith Valliere, daughter of François Valliere and Seraphine Simoneau, on 10 July 1899 at St. Pierre de Broughton, Mégantic, QC, Canada. Josèph Théodore Binette died on 16 August 1949 at Disraëli, Wolfe, QC, Canada, at age 73. Marie-Edith Valliere was born. She married Josèph Théodore Binette, son of Étienne Honoré Binette and Marie Adèle Perreault, on 10 July 1899 at St. Pierre de Broughton, Mégantic, QC, Canada. Marie-Edith Valliere died on 7 October 1949 at l'Hospital St. Joseph, Thetford Mines, Mégantic, QC, Canada. François Valliere married Seraphine Simoneau. Seraphine Simoneau married François Valliere. Elmire Delvina Binette was born on 23 May 1873 at St. Elzéar, Beauce, QC, Canada. She married Elzear Dubois, son of Firmin Dubois and Marie Drouin, on 30 August 1891 at St. Ferdinand d'Halifax, Mégantic, QC, Canada. Elmire Delvina Binette died on 22 December 1931 at St. Ferdinand d'Halifax, Mégantic, QC, Canada, at age 58. Elzear Dubois was born in 1871. He married Elmire Delvina Binette, daughter of Étienne Honoré Binette and Marie Adèle Perreault, on 30 August 1891 at St. Ferdinand d'Halifax, Mégantic, QC, Canada. Elzear Dubois died in 1950. Firmin Dubois married Marie Drouin. Marie Drouin married Firmin Dubois, son of François Dubois and Marie-Anne Demers. Cyrille Dubois was born on 1 January 1875. He married Elise Barlow, daughter of Thomas Barlow and Marie Marchand, on 21 June 1897 at St. Ferdinand d'Halifax, Mégantic, QC, Canada. Elise Barlow was born on 17 March 1876. She married Cyrille Dubois, son of Isaïe Dubois and Célina Côté, on 21 June 1897 at St. Ferdinand d'Halifax, Mégantic, QC, Canada. Thomas Barlow was born on 6 May 1844. He married Marie Marchand. Marie Marchand was born on 22 February 1845. She married Thomas Barlow. Cedulie Côté was born. She married Josèph Dubois, son of Isaïe Dubois and Célina Côté, on 10 January 1898 at St. Ferdinand d'Halifax, Mégantic, QC, Canada. Jn. Bte. Côté married Julie LaRochelle. Julie LaRochelle married Jn. Bte. Côté. Isaïe Dubois was born on 25 December 1860 at St. Ferdinand d'Halifax, Mégantic, QC, Canada. He married M. Mezalie Daigle, daughter of Romuald Daigle and Cesarie Cantin, on 5 July 1881 at St. Ferdinand d'Halifax, Mégantic, QC, Canada. 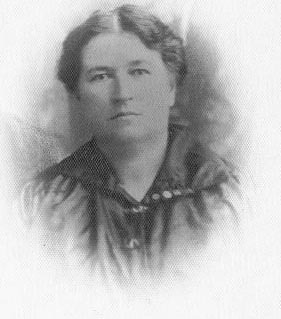 M. Mezalie Daigle was born circa 1859. She married Isaïe Dubois, son of Isaïe Dubois and Célina Côté, on 5 July 1881 at St. Ferdinand d'Halifax, Mégantic, QC, Canada. Romuald Daigle married Cesarie Cantin. Cesarie Cantin married Romuald Daigle. Marie Dubois was born on 26 May 1872 at St. Ferdinand d'Halifax, Mégantic, QC, Canada. She married Jean Bte. LaLiberte, son of Veof LaLiberte and Marie Turgeon, on 19 July 1897 at St. Ferdinand d'Halifax, Mégantic, QC, Canada. Marie Dubois died on 26 January 1952 at Biddeford, York, ME, at age 79. She was buried on 30 January 1952 at St. Joseph Cemetery, Biddeford, York, ME. Jean Bte. LaLiberte was born abt. 16 Mar, 1873. He married Marie Dubois, daughter of Isaïe Dubois and Célina Côté, on 19 July 1897 at St. Ferdinand d'Halifax, Mégantic, QC, Canada. Jean Bte. LaLiberte died on 16 May 1934 at Biddeford, York, ME. He was buried on 19 May 1934 at St. Joseph Cemetery, Biddeford, York, ME. Veof LaLiberte married Marie Turgeon. Marie Turgeon married Veof LaLiberte. Melina Dubois was born circa 1881. She married François Marcoux, son of Cyrille Marcoux and Delina Emond, on 3 October 1898 at St. Ferdinand d'Halifax, Mégantic, QC, Canada. François Marcoux was born. He married Melina Dubois, daughter of Isaïe Dubois and Célina Côté, on 3 October 1898 at St. Ferdinand d'Halifax, Mégantic, QC, Canada. Cyrille Marcoux married Delina Emond. Delina Emond married Cyrille Marcoux. Adéline Dubois was born on 15 February 1863.